Cole-Parmer Ltd, a leading manufacturer of laboratory equipment, today announced that it will be exhibiting a brand new rotary evaporator and spectrophotometer at Lab Innovations 2017. 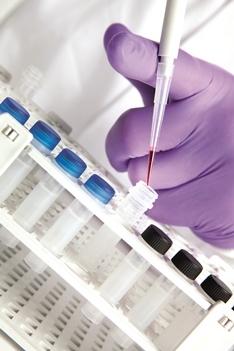 The event, taking place at the National Exhibition Centre (NEC) in Birmingham on 1st-2nd November, is the UK's only dedicated event for laboratory professionals. Returning to the event with a stand twice the size as previous years, Cole-Parmer will be showcasing many of its products, old and new, from Jenway, Techne, PCRmax, Stuart and Electrothermal. This year the company is attending in partnership with sister company, Kinesis Ltd, with whom Cole-Parmer is running a prize giveaway. New instruments will be presented at the show, including the Stuart rotary evaporator, and the Jenway Genova Bio UV/visible spectrophotometer. Also on the stand will be a prototype of the new range of spectrophotometers from Jenway, for which delegates can give their feedback to help shape the future of the technology. Old favourites on display include the PCRmax AlphaCycler 2, launched last year at Lab Innovations, and the Flexifuge Argos Rotator, amongst many others. In addition to exhibiting Cole-Parmer is one of only 10 exhibitors taking part in the LiveLab demonstrations, designed to give attendees up-close demonstrations of the latest products. You can catch Cole-Parmer demonstrating its ground-breaking Arcis DNA extraction kit in the Lab Innovations LiveLab on the 1st November at 2:30 pm.